Firstly Happy New Year. We hope everyone had an enjoyable Christmas period filled with much joy and happiness. After a successful and busy 2017, with many milestones reached, including turning 30 years old the CB team have re-charged their batteries over our Christmas shutdown and are now fired up for 2018, which is set to be an even bigger and more exciting year. In March this year, we will be unveiling our new World of Sattler UK fabric collection exclusively available from Caribbean Blinds. 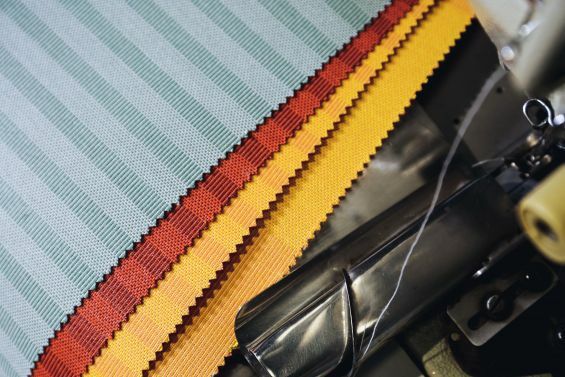 Comprising the most luxurious, technologically advanced patio awning fabrics to date, there are over 70 premium designs, comprising vivid solids, urban stripes, landscape tones and 3d structured surface materials…this is like no other fabric collection available. We will also be launching in March a new pergola fixed frame awning, to bridge the price gap between a traditional folding arm awning and a louvered roof Outdoor Living Pod. Able to span upto 6m wide x 4.5m deep covering the largest of terraces and with integrated drainage for effective water evacuation along with optional integrated lighting and heating, this is sure to be a popular addition to the range for both residential and commercial applications alike. Furthermore we have developed for our trade dealer network a new installer training centre where partners can get hands experience on with our products, physically installing and adjusting them to obtain real life skills and enable them to confidently fit them. And finally we’ve employed a new design agency to refresh our brand, sharpening our image logo and look. Initially all ‘in print’ items will be updated from product brochures to specification datasheets and operation & maintenance manuals and then later in the year we will focus on our online presence, further strengthening the look and ease of both finding us online and navigating our sites / product information for the best viewing experience possible. Expect a focus on product videos both showing the benefits of our systems and what goes into producing them. 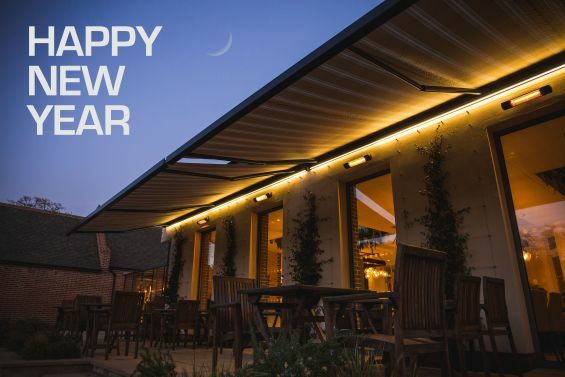 So for team CB its going to be another energetic year ahead, as we continue to drive the industry forward, shaping it for the future and further cementing our position as the luxury UK manufactured external shading brand (since 1987). We are look forward in the season ahead to building relationships with new clients and further enhancing relationships with existing clients and want to thank everyone since the company’s inception (clients and partners) for their trust and loyalty in the CB brand – it’s truly appreciated.